Laurence Miller Gallery is pleased to present WHEN HARRY MET AARON, a conversation between the photographs of Harry Callahan and Aaron Siskind. Both were masters of their medium, and developed a deep and lasting friendship while teaching together - initially at the Institute of Design in Chicago, then later at the Rhode Island School of Design in Providence. Their backgrounds were starkly different – Callahan from the Midwest, inspired by Ansel Adams, versus Siskind from the Lower East Side, inspired by the Abstract Expressionists. 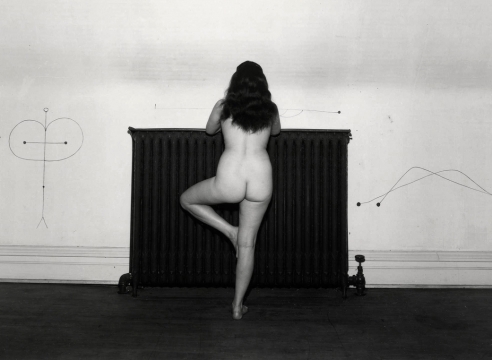 Likewise, their approaches to photography were almost entirely opposite in temperament - Callahan cool, reductive, and reticent, while Siskind was hot, expansive and ebullient. Yet there is much common ground to discover in their picture-making approach, and many parallels, as each artist had an exquisite sense of form and line, combined with deep humanity. This becomes quite evident when comparing the elegant gestural quality of Callahan’s single grass against a dark sky, from Aix-en-Provence, 1958, with Siskind’s 1947 closeup of ironwork in New York. A fine example of opposite approaches yielding similar results are two pictures made in Chicago in the mid-1950’s: Callahan’s Multiple Exposure Tree, taken in winter, and Siskind’s Pleasures and Terrors of Levitation #37, taken in summer. 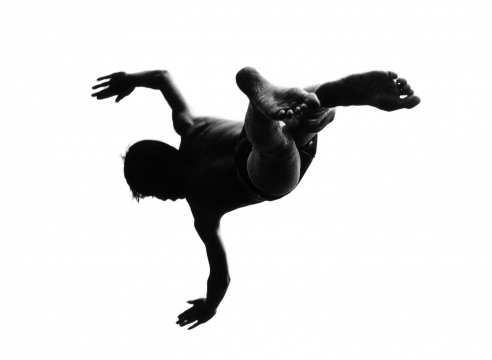 Both stark, each subject rendered against a white cloudless sky, Callahan’s dormant tree vibrates with energy, while Siskind’s floating diver appears motionless, frozen in time. Throughout their careers, both men frequently worked in series. Siskind repeatedly photographed the stacked boulders he discovered on Martha’s Vineyard, while Callahan made dozens of close-up portraits of women lost in thought on the streets of Chicago. Building facades charmed them both, and though at times their pictures seem interchangeable, their unique personalities are revealed as Siskind favored grittiness and Callahan sought elegance. The exhibition features over 20 prints by each photographer, including recognizable classics as well as many rarely seen and unpublished vintage prints.